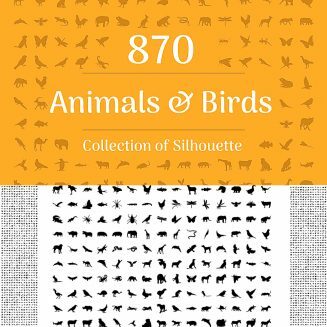 Set of 870 silhouettes of birds and animals. Fully editable, layered and grouped. File format: .psd, .ai, .eps, .png, .csh , .svg for Photoshop or other software. 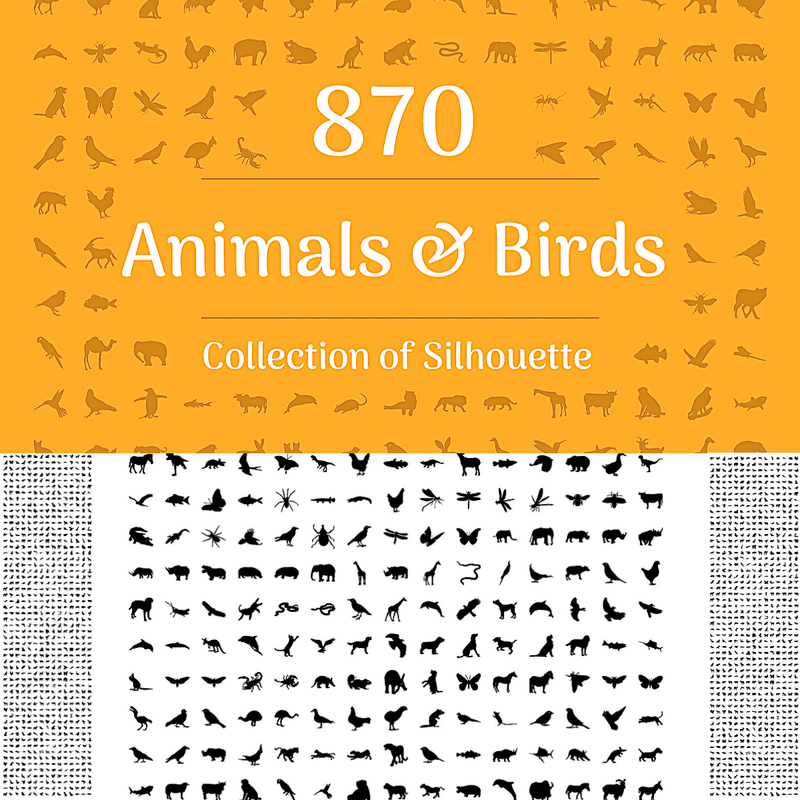 Tags: animal, animal icon, Bird, bird icon, silhouette, symbol.